Slots to play as a beginner: Part one. You came across a fun streamer, you signed up to a casino and you spun your Starburst free-spins. After deciding Starburst is fun for your mom but not you, you're wondering, which slot am I going to play? 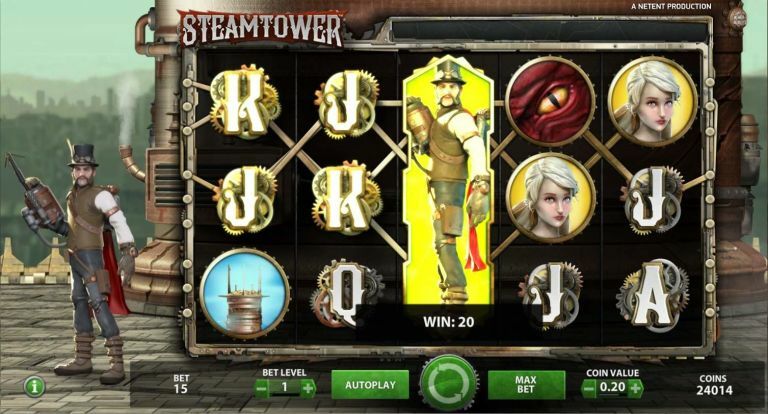 Welcome to our "Slots to play as a beginner" series, a part of our online casino guide. Jack Hammer got his girl taken, and is in hot pursuit of the evil Don Crabby! Pretty cool huh? So, how does the game work? If you hit 3 or more of the same symbols, from left to right, on a winning line, the symbols will stick and the game re-spins. Each re-spin you have a chance of getting more of your symbols to stick. Each time you succeed, the game re-spins, with the potential of filling the whole screen with one symbol. Ding ding! Manage to get at least 5 "free spin" symbols to stick and you will enter the bonus game. This works exactly as the main game, but multiplies your wins by 2, and gives you a guaranteed "wild symbol" on reel 2, 3 or 4. Big Blox is a neat looking game with only one, but a very fun one, feature: The expanding block. Each spin, a 2x2 block with one symbol will appear randomly on the reels. This 2x2 block is able to expand, all the way up to a 5x3 block, which would fill the whole screen, and give you massive banana's (up to 3.888 times the stake). The slot is rather relaxing. It has a chill soundtrack to it and the mechanics are easy. You hit 3 or more of the same symbols in a row, from left to right, you win. 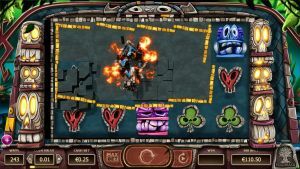 Notorious for it's "easy to get" bonus, Steam Tower is a well-rounded fun game to play. The game has a cool steampunk style to it, with a matching tune. Your goal? Get to the top, defeat the dragon, rescue the girl (and send your casino to Brooklyn). Three of the same symbols on a win line gives you a winning spin. If any reel fills up with our hero in green you enter the bonus game, where you start your climb to the top. 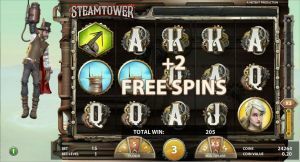 Once in the bonus, you get 10 free spins with a multiplier depending on the level you are. 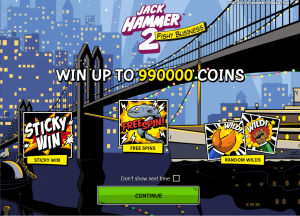 When you hit the "wild symbol" the green hook, shown in the picture above, you get +2 free spins, and your hero moves closer to the roof. When your hero reaches a new plateau the multiplier will go up by one. Are you a new player? check out these tips. If you're not sure about the difference between Coinvalue and Betlevel, check this article out!